This book is an important exploration of the gap between representing gay men and gay relationships on screen, and queer culture. Despite the canonical status of the written word in forging the Zionist-Israeli national narrative and its subversive derivatives, the emergence of gay consciousness in the mid-1970s relied more on cinematic representations than those found in literature, journalism, or popular music. Film's global distribution reached wide overseas audiences and emphasized gay men and lesbians' roles in representing "liberal" Israel to the world. In Soldiers, Rebels, and Drifters: Gay Representation in Israeli Cinema author Nir Cohen studies the role of cinema in portraying gay identities, environments, and lifestyles in Israel over the past three decades, particularly in the wake of a series of legal battles for gay rights in the 1980s and 1990s. In five chapters, Cohen examines the past, present, and future of gay filmmaking in Israel. In chapter 1, he traces the roots of an imagined Israeli gay community in film by examining the parallels between constructing gay identity on screen and representing the city of Tel Aviv as a cosmopolitan metropolis, with a focus on the early films of Amos Guttman and Eytan Fox. In chapter 2, he explores Guttman's films in detail to trace their contribution to the evolution of a gay identity in 1980s Israel. Chapter 3 shifts to the work of Eytan Fox, probably the most prolific gay Israeli director since Guttman. In chapter 4, Cohen tackles nonfiction gay filmmaking in Israel in the form of documentaries and self-authored films. Chapter 5 concludes the volume with a look at the current state of gay filmmaking in Israel, including the new directions that recent films have taken and the increasing interest in the experience of gay men and lesbians from religious communities. Beyond simple textual analysis, Cohen addresses the institutional apparatuses of the movie industry, including the politics behind funding, censorship, and television broadcasting, and relates the films studied to the cultural and political history of Israel since the late 1970s. Film and television scholars, as well as those interested in queer studies and the cultural history of Israel will be grateful for this thorough study of gay Israeli cinema. Nir Cohen holds a PhD in film studies from University College London. He currently teaches in the Department of the Languages and Cultures of Near and Middle East at the School of Oriental and African Studies, London. Nir Cohen makes a significant contribution to cinema studies in general and that of Israel in particular. His study of how film has portrayed gay identities, environment, and lifestyles in Israel over the last three decades provides a model of scholarship for those interested in minorities, marginality, and film studies wherever they may be." This book is a welcome contribution to the growing critical literature on Israeli cinema. 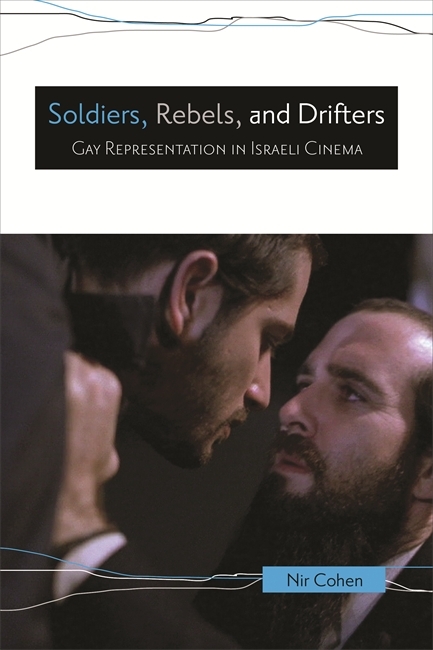 As a work of cultural history that aims to understand the emergence of gay cinema in Israel since the late 1970s and its complex relationship to the construction of Zionist and Jewish 'new' masculinity, this book will appeal to both students and scholars of Israeli, Middle Eastern, and world cinema."